Dr. Steven Powers is a board-certified obstetrician and gynecologist and has been practicing for more than 25 years. He enjoys all aspects of women’s health and caring for women in all stages of their lives. Dr. Powers received his medical degree from Eastern Virginia Medical School in Norfolk, VA. He then completed his internship and residency at Riverside Regional Medical Center. He is currently a preceptor with EVMS and Liberty University. 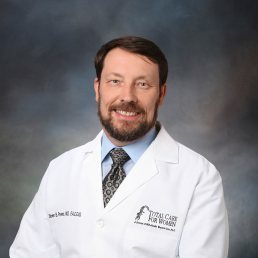 He has previously served as Chief of the Department of Obstetrics and Gynecology at Chesapeake Regional Medical Center in Chesapeake, Va., and a member of the Advisory Committee of the Joint Boards of Nursing and Medicine Virginia Department of Health Professionals in Richmond, VA.